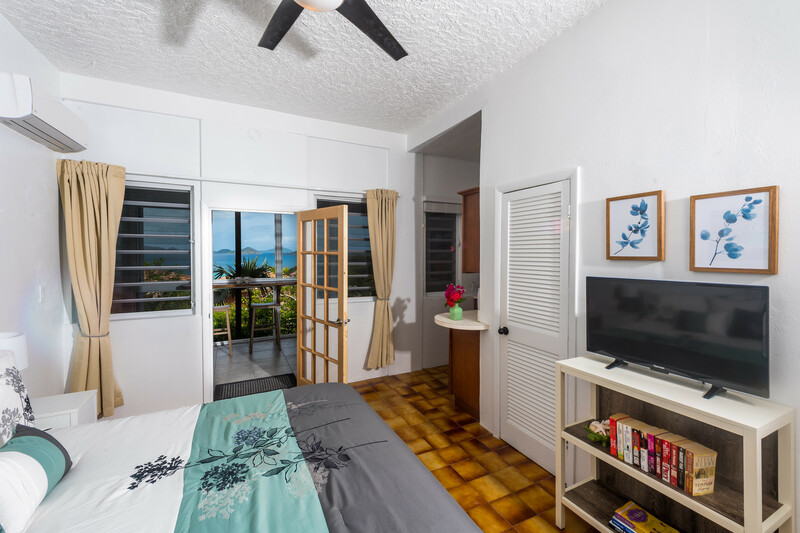 The Sunset Serenade Papaya Suite is a cute and comfortable unit with gorgeous views of Cruz Bay, the Sir Francis Drake Channel, St. Thomas and the surrounding cays. 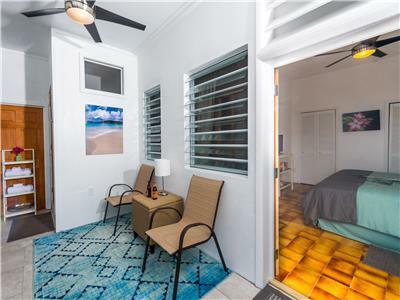 This cozy, clean and convenient suite - it is located less than five minutes from town - has everything you need to enjoy an unforgettable stay on the breathtaking island of St. John. It is fully renovated as of June 2018. We want to thank you for your gracious hospitality during our stay on the island. From the time I made the reservation, you provided me with all I needed to know about the island and how to best navigate to get there. 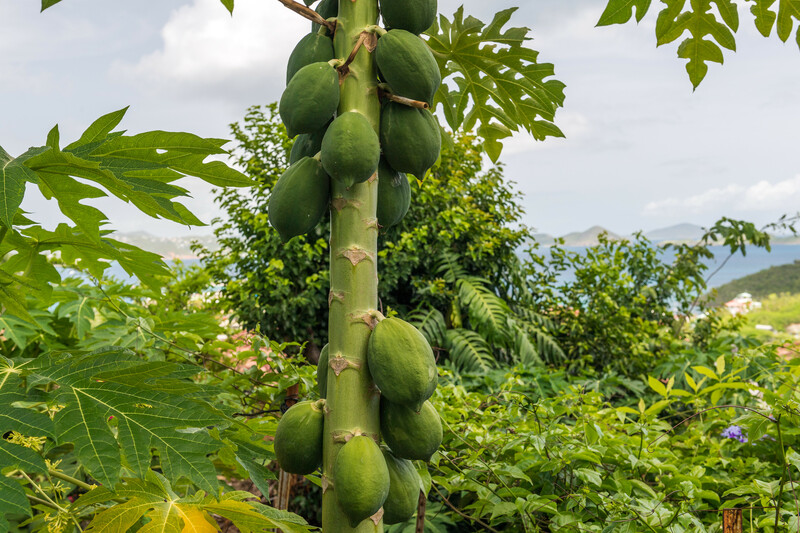 We thoroughly enjoyed staying in the Papaya sweet. It was our first trip away without kids and the accommodations were perfect for us. The place was immaculate and the sunset views at night made it all the more special. The added touch of water and welcome beverages in our fridge as well as sunscreen, bug spray, etc were greatly appreciated. Island Abodes far exceeded our expectations and we can’t wait to come back! Thanks for the great stay! Such a comfortable space with everything needed from sunscreen and bug spray to fresh coffee. Live the time there and highly recommend!!! Thanks to Island Abodes for helping make another trip to Paradise perfect. Loved Papaya Suite! Thanks Brittany, Robert and RJ for your great hospitality. Was very impressed with the Papaya suite , the layout was accommodating and the view absolutely gorgeous, very impressed with our hosts Brittany & Robert, they sent emails filled with great information regarding the island , things to do and also sent a ferry schedule that would be accommodating to out flight times. The one bedroom studio was exactly as advertised. The screened in porch and oversized shower are terrific. Two minute ride to the supermarket and less than five minute ride to Cruz Bay. We really enjoyed our stay at the Papaya Suite. They have done such a great job putting together a really nice, quiet, and CLEAN studio space. Wow! The sunset view is an extra bonus! Close enough to town if you want the island "night life" but, far enough away if you want to just "chill". 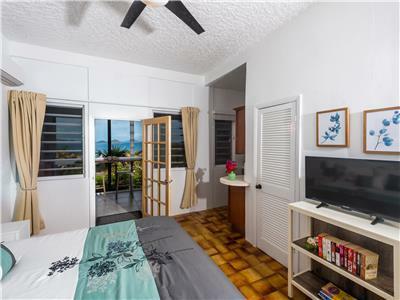 We would highly recommend this quaint studio unit to any couple looking to get away to St. John without busting the budget. Promises you'll have a wonderful stay!!! We stayed in the Papaya suite at Sunset Serenades this past week for 5 nights. We had the absolute best trip thanks to Island Abodes! St. John is currently still in a period of recovery after the terrible hurricanes from Fall 2017 but it was impossible to tell while at our suite. Everything in our suite was new and up to date. The view from our porch was beautiful at all times especially sunrise/sunset. Brittany and Robert were so helpful and informative throughout our entire stay. I can’t write enough good things about their suites. We will definitely be visiting again in the near future. The Papaya Suite had all the amenities I could ever need including a view from the shower! It also had a cute bar on the screened in porch to eat and drink your coffee while viewing the beautiful water and gardesn. It was fantastic! We stayed in the new Papaya Suite that overlooks Cruz Bay. It had an amazing view from the outdoor porch and from the shower too! The bedroom has a king sized bed and the air conditioner was nice and cool! We enjoyed ourselves by hitting 3 of the beautiful beaches on the island! The gardens were full of flowers and fruit trees and everything was so green! Thank you Island Abodes for an amazing vacation! I had a fantastic stay with my sister June 2018 in the brand new Papaya Suite! 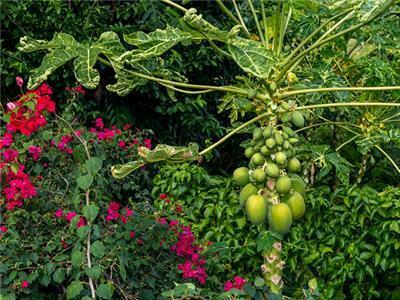 I love the new name because there were papayas growing all around the property! I was so impressed with the new shower with a view! I stayed in this suite about a year ago and the bathroom was compact. 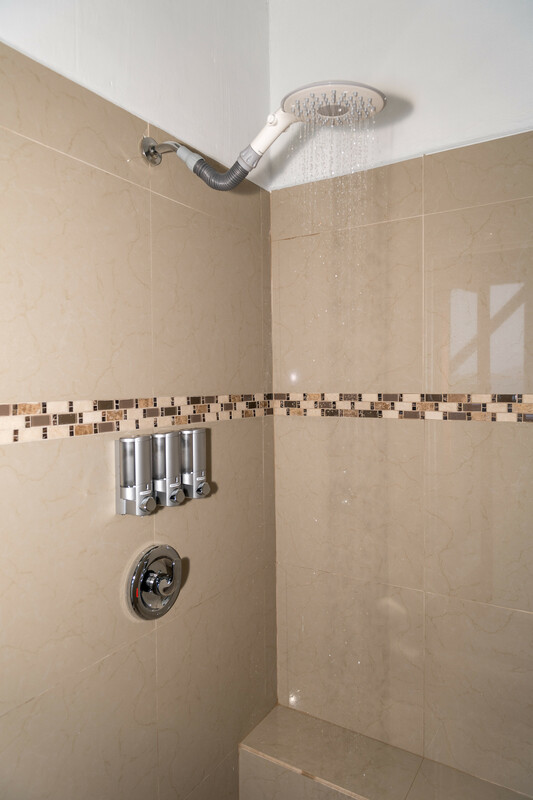 Now, there is a huge new shower with a private feel and amazing view of Cruz Bay! There is also a new screened in porch with a bar and a seating area. This was a great place to hang out without having to worry about bug spray. I was so impressed with how beautiful St. John is after the hurricanes. Everything is green and gorgeous! We enjoyed going to a different beach every day and doing some amazing hikes. The American Hill ruins are beautiful! Thank you Robert, Brittany, and little RJ for another amazing adventure! We will be back! Allison, thank you for taking the time to write a review of the Papaya Suite! It sounds like you enjoyed all of the new ammedities in this suite. We are happy to hear that your stay with us was just as good (or better) than it was the last time. We are always trying to improve our properties to give our guest the best experience possible. Thank you again, and we hope to see you soon! Inga, thank you so much for taking the time to review your stay in the Studio Suite at Sunset Serenade! Robert and I are happy to hear that you enjoyed the view from the suite and we are thrilled you chose Island Abodes for your St. John vacation. Please visit us again soon! Barbara, thank you for the excellent review on Airbnb! 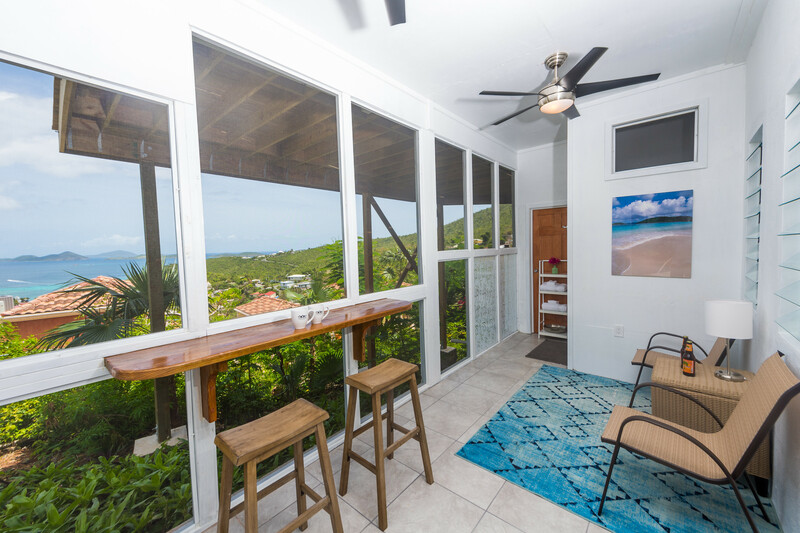 It sounds as if you were able to take advantage of the gorgeous Caribbean view from the Studio Suite at Sunset Serenade's private deck ... it truly is breathtaking! I'm happy to hear that you found our accommodations to be clean, conveniently located, and well-stocked with amenities. Robert and I hope to have another opportunity to provide you with a positive Island Abodes experience in the future! We really enjoyed our stay at Island Abodes. Brittany and Robert were very accessible and helpful. Everything was pretty much as advertised on the site. The space was very clean, and the view from the balcony was amazing. Many thanks for the review and feedback Daniel! So glad to hear that you enjoyed your stay in the Studio Suite at Sunset Serenade and that you found the accommodations to be clean and as expected from the website. Robert and I are always happy to answer questions for our guests! We hope to welcome you back for a future stay with Island Abodes to take in the beautiful Caribbean views from the private deck once again. Wow! My husband and I absolutely loved our stayed at the Island Abodes studio! Brittany was extremely accommodating from the moment we arrived until the moment we departed. She has thought of every amenity in the kitchen, and gave us a great local's perspective on the best beaches, hiking trails, etc. We loved our stay and can't wait to come back and visit again!! Mia, thank you so much for your review of the Studio Suite at Sunset Serenade! I'm happy to hear that you enjoyed the variety of amenities the suite provided and that you felt well taken care of during your stay. Robert and I are always available to answer questions and give recommendations to enhance your St. John vacation. Please come back soon for another stay with Island Abodes! Great location with views. Less than 5 mins drive to Cruz Bay. The studio is small, but enough for two people, since you will be mainly outside contemplating the views. Brittany was very helpful and responded to my emails very quickly. No wonder why they are super hosts!! Attention to detail, snacks at arrival, beach equipment. Thanks for everything!! Josefina, I'm thrilled that you had a wonderful stay in the Studio Suite at Sunset Serenade! It sounds as though you were able to enjoy the stunning Caribbean views from the private deck and the provided amenities. Thank you for the review and kind words; Robert and I do our best to meet all of our guests needs quickly and efficiently. We hope to welcome you back to Island Abodes for another St. John vacation in the future! Brittany and Robert were such great hosts. They communicated with us prior to our trip and were available at anytime if we needed them. The property is gorgeous and well kept. We were greeted with beautiful flowers on our porch and two Virgin Island beers! The view is incredible from the suite. The suite has all amenities you'll need. Coffee, tea, creamer was in the fridge. 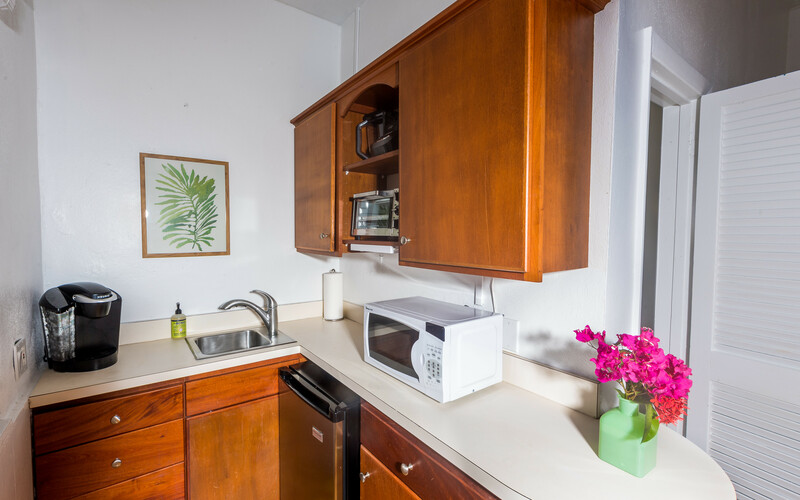 Kitchenette has everything you need as well, including a hot plate, toaster oven, keurig and microwave. Bathroom is stocked with toilet paper, shampoo and body wash. There's also bug spray and sunscreen on the porch and beach supplies! We had packed slot of this ourselves but quickly realized the hosts had it covered for us! Our stay was just wonderful. This place is a gem. Absolutely will be renting from Brittany and Robert again! Thanks so much guys. Hi Seth! Thank you so much for writing a review of your stay in the Studio Suite at Sunset Serenade. Robert and I strive to make ourselves available to our guests and we love sharing island tips and recommendations to ensure you have the best vacation possible! 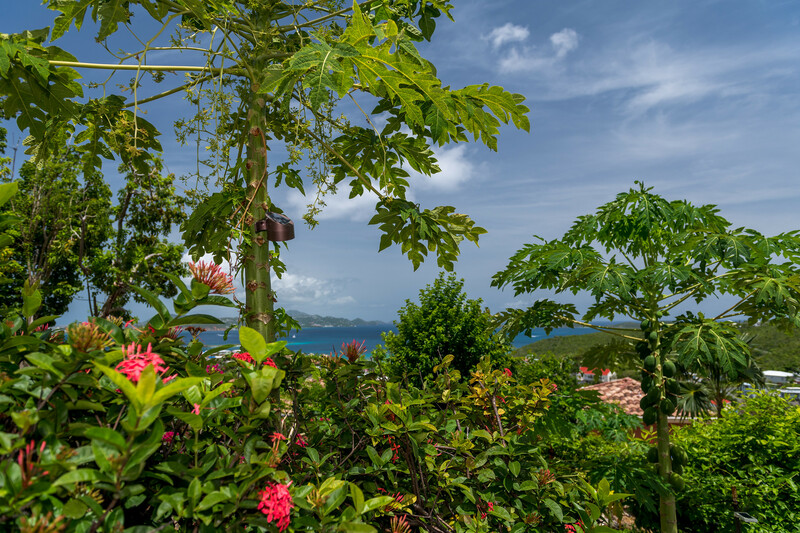 I'm so happy to hear that you found the property peaceful and beautiful and that you were able to enjoy the stunning Caribbean views from the private deck. 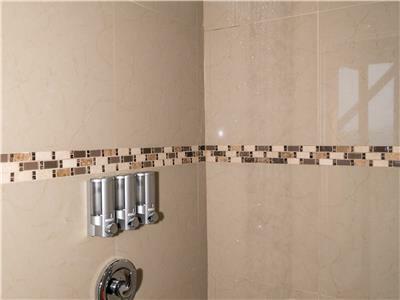 It sounds as though the variety of amenities provided in the suite greatly enhanced your stay ... I'm so glad! 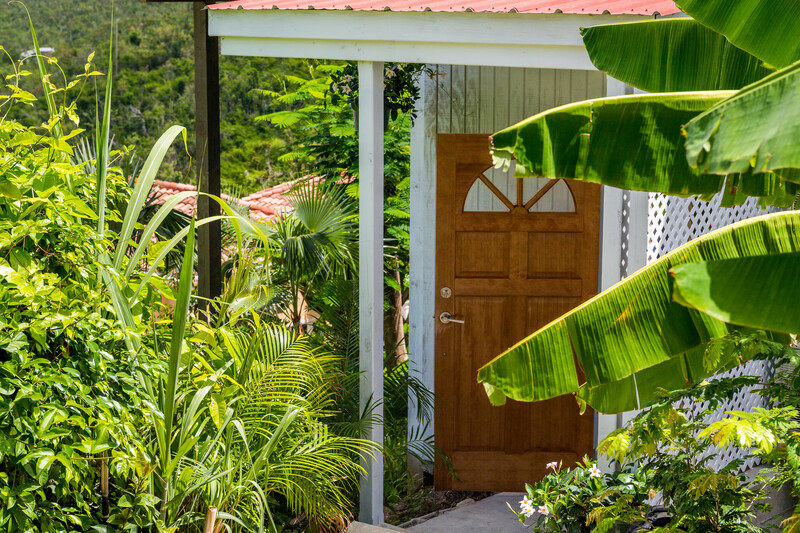 We cannot wait to welcome you back to Island Abodes for your next trip to St. John. Come back soon! We very much enjoyed our stay at the cozy Studio Suite at Sunset Serenade. We loved the strikingly beautiful view from the patio across the Caribbean to St. Thomas, which is visible from end to end. 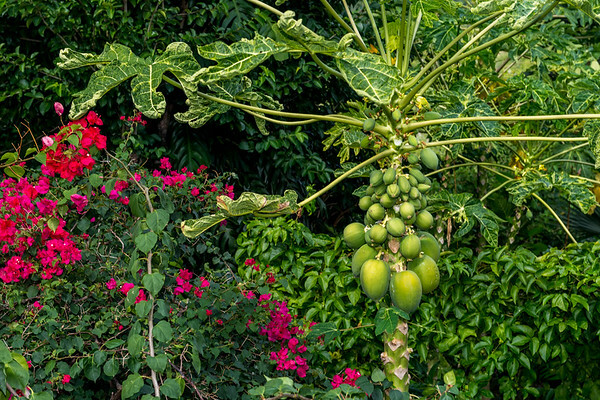 We also enjoyed the nicely done tropical landscaping. The refrigerator made it possible for us to enjoy breakfasts using the 2-person table and chairs on the patio, which we found much preferable to waking up and immediately jumping in the Jeep to go to breakfast down the hill, in town. We also ate a dinner there during our short stay. For cooking, the kitchenette included microwave, toaster oven, toaster, and portable burner. As the name "studio" indicates, the apartment is not large but is a cozy place for two. Along with the bed, two small bedside tables and a chair, there is a kitchen nook and two closets with spacious shelving, which we used to keep our suitcases and their contents out of the way. (There was no eating table inside.) The four-post bed was firm and very comfortable, with a bedside lamp on each side that we used to read in bed. The unit had both an overhead fan (with light) and a vertical fan standing in the corner. During our late January stay, the fans usually kept us comfortable with only limited use of the A/C. We appreciated the many thoughtful touches that the hosts, Brittany and Robert, supplied such as a helpful guide to living in the apartment, beach equipment (e.g., chairs, cooler and styrofoam "noodle" floats), an umbrella, a sand hose, and in-room snacks and coffee machine. They were helpful in advance of our stay, answering questions to aid our trip planning. We found them friendly and very responsive, and at the time of our stay they were planning further tweaks to the room to assist guests. 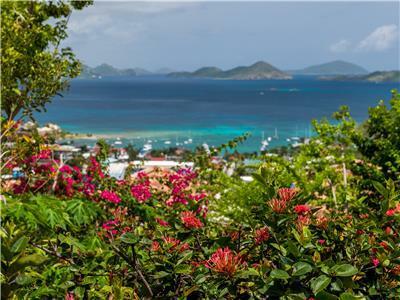 This place is more economical than most accommodations on St. John, yet still offers an impressive view and a cozy home away from home. Thank you for taking the time to write such a detailed review of your stay in the Studio Suite at Sunset Serenade, Nancy! Robert and I so appreciate getting feedback from our guests. I'm happy to hear that you found the accommodations to be comfortable, cozy, and well stocked with amenities. It sounds as though you thoroughly enjoyed spending time on the private deck having meals and taking in the stunning Caribbean views; the views are definitely one of the best features of our suites! We do our best to think of everything we would want in an island vacation home and then to provide those conveniences to our guests ... especially the beach day essentials! 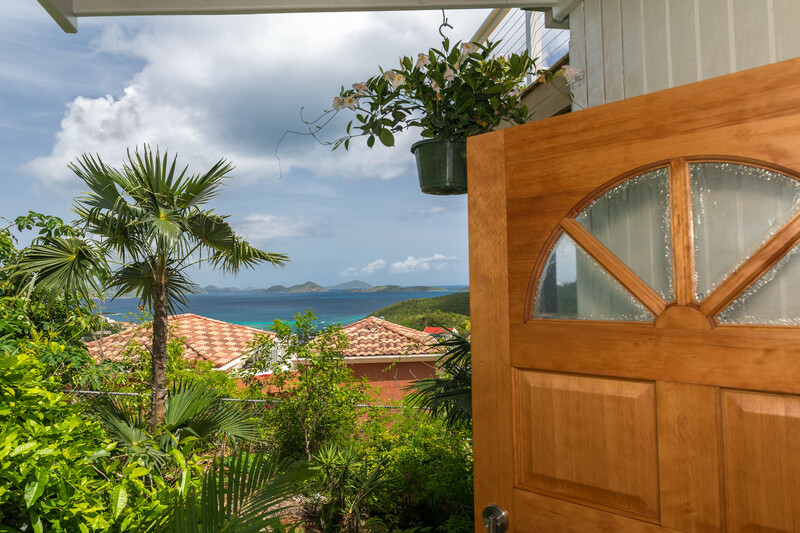 We cannot wait to welcome you back to Island Abodes for your next trip to St. John. Come back soon! We came to St. John for a wedding at sirenusa resort (literally right next door)! The location couldn't be more perfect, and the space was cozy and intimate. Brittany and Robert had everything we needed, and Brittany was so sweet assisting me with all my questions and concerns. We very much enjoyed our stay at this intimate studio, it was so, charming and the view from the deck is breathtaking! I would absolutely recommend The Island Abodes, and a trip to St. John! Kimberly, thank you so much for the review of your stay in the Studio Suite at Sunset Serenade. I'm thrilled that the accommodations were conveniently located for the wedding festivities! Robert and I are happy to hear that you found the suite to be cozy and well stocked, and that you were able to enjoy the panoramic Caribbean views from the private deck! We so appreciate the recommendation and we hope to welcome you back to Island Abodes and sunny St. John again soon. Thank you so much, Andonis! Happy to hear you enjoyed your stay in the Studio Suite at Sunset Serenade. We hope to have you visit St. John and Island Abodes again in the future! We had a wonderful time at Mystic Moon! This place is beautiful. We loved sitting on the swinging bench and looking out at the ocean. It was wonderful to sleep with all the windows open and feel the cool ocean breeze all night long! 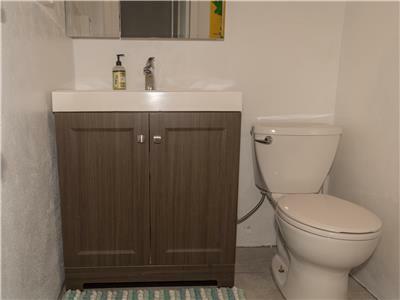 This property is clean with all the amenities one could need. We will definitely come back!! Thanks for your review Kirin and Gabe! We appreciate you taking the time to post your feedback and we were very glad to hear you enjoyed your stay and found your accommodations relaxing and clean. Thanks again and we hope to see you in the future! This was my first time staying at Island Abodes and I absolutely fell in love this the Studio at Sunset Serenade! The view was spectacular, especially at sunset, and the room was so cozy. It is the perfect size for one or two people. Sunset Serenade is very close to town and easy to find! Just a short drive to get to town or any of the beautiful beaches. I would definitely recommend the Studio and I would love to stay there again! Thank you Shelby! We appreciate your feedback regarding your recent stay and were happy to hear you enjoyed yourself in the Studio Suite! It sounds as though you enjoyed the sunset view (my favorite part too! ), the convenient location, and the spacious size of the Studio. Thank you again for your review and for choosing Island Abodes. We'll see you again real soon! Island Abodes is awesome! Very convenient location, awesome views, and great service from Brittany and Robert. Rooms have everything you need. Very comfortable and nice cold AC in the bedrooms. Highly recommend! Many thanks Laura! We appreciate the kind words regarding your recent stay in the Studio Suite. Robert and I love nothing more than to hear that you enjoyed the accommodations, convenient location and Customer Service provided. Thanks again for your review and recommendation. We'd love to welcome you back anytime! Adam, thank you so much for the review of your stay in the Studio Suite at Sunset Serenade. I appreciate the recommendation and am happy to hear that you found the customer service helpful. Robert and I love those beautiful Caribbean sunsets, too! We hope to welcome you back to Island Abodes and St. John soon. Second Visit and will be back! This is our second time staying with Island Abodes and it was great! The property had the perfect location (very close to downtown with bars and restaurants) and breath taking views. The property was very clean and exactly what we needed for our vacation. The best part of staying with Island Abodes is the owners are amazing and super accommodating and will go out of there way to make sure you have a great vacation. 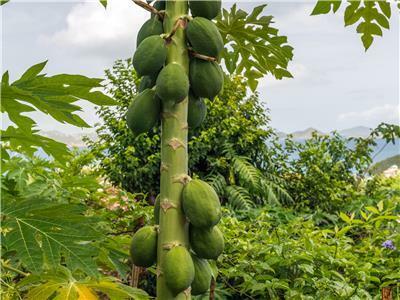 If it is your first time on the island, they will answer any questions you may have and prep you on what to expect once you arrive to the island. They truly are there for you throughout your trip in case anything comes up - southern hospitality at its best! Even before we arrived, I had a great feeling about Island Abodes. Brittany/owner is an excellent host and emailed regularly. She was literally sitting outside waiting to greet us when we arrived. The Studio is exactly as described- very private, cozy and well equipped. It is a great bonus to have a small cooler, beach towels and chairs (plus pool noodles😁) Parking is only steps away. Exceptionally clean and comfortable bed with nice linens. We know the island well, so this is a good base from which to venture out. Those new to the island need to know this is not "walkable to sites"- you need a car. 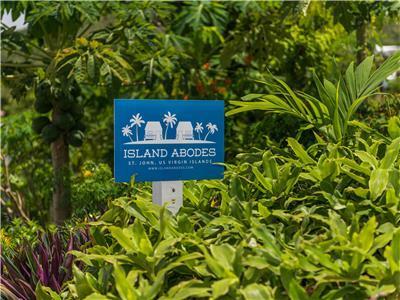 We would definitely recommend Island Abodes- you can trust these folks for honesty and helpful service. Thank you for the lovely review of your stay with Island Abodes, Moyes! We strive to provide our guests with the best vacation experience possible and I’m so happy to hear that we met your expectations as hosts. 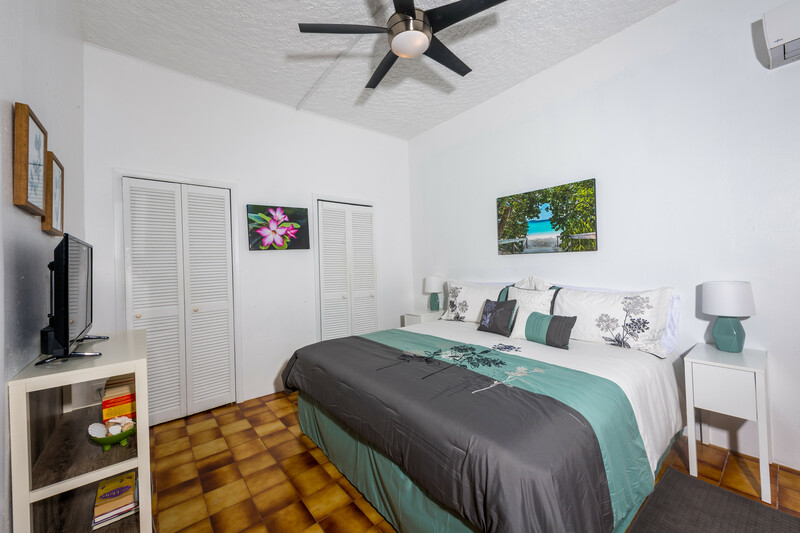 It sounds as though you enjoyed the private, cozy feel of the Studio Suite at Sunset Serenade, along with the variety of beach essentials provided for your enjoyment and convenience. Thank you so much for the recommendation; we hope to welcome you back to sunny St. John soon! Robert and Brittany are amazing as is Island Abodes! This was our first visit to St. John and everything about it was absolutely perfect. Our suite was amazing, our view from the balcony was breathtaking, and we were the perfect distance away from both the night life as well as the hiking and scenery. Brittany and Robert went above and beyond to make our stay comfortable (So much so that we arrived on the island and had no idea where we were going so Brittany talked directly to the cab driver on the phone to get us to our suite from the fairy!!) I would recommend Island Abodes to anyone and everyone looking to book a trip on that incredible island, you will be amazed at what you find on the top of Jacobs Ladder. Doris, I couldn’t be happier to hear that you had an incredible first visit to our beautiful island of St. John! Thank you for taking the time to leave a review of your stay in the Studio Suite at Sunset Serenade. Robert & I love to hear that you enjoyed the accommodations, convenient location, and breathtaking view from the private deck. We strive to ensure that our guests are well taken care of and I was happy to make sure the taxi driver knew exactly where to take you! 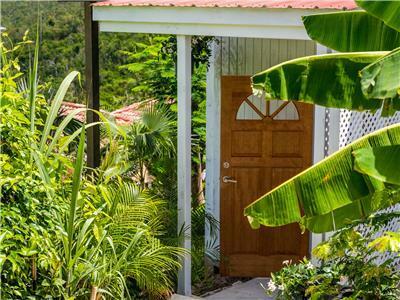 Island Abodes hopes to welcome you back for your next Caribbean vacation. Thanks again, Doris! Amazing place with great views! We loved how private it was and the hosts were easy to contact. They even arranged to have someone pick us up at the ferry when they weren't available! It was close to town and the Westin Hotel as well. We would absolutely stay there again! Thrilled to hear that you enjoyed your stay in the Studio Suite at Sunset Serenade, Caroline! Thank you for taking the time to write a review. It sounds as though you especially enjoyed the stunning island views from the private deck - that's our favorite part, too! Robert and I are always ready and willing to assist our guests and I'm glad you found it easy to get in touch with us. Come back to Island Abodes and Love City soon! Thank you so much, it had everything we needed, it was a great experience. Brittany were so kind picking us up and drow us to the her place and also dropping us off at the feet the day we went home. The place is located in the mountains so quite steep hills to climb but the view makes it so worth it! Lovely porch were you can watch the sunset and the ocean. Beautiful garden with a lot of kolibries. The studio had everything you needed to make breakfast/lunch/dinner so if you're staying for a while and don't want to eat out every night this is the perfect place. Walk to Cruz Bay in 15 minutes, 5 minutes to a small supermarket and maybe 8 minutes to a bigger one. We would stay again! So happy to hear that you enjoyed your stay with Island Abodes, Petra! Thank you so much for the awesome review. I'm glad you took advantage of the gorgeous sunset and ocean views from the private deck, as well as the luscious tropical garden. The Studio Suite at Sunset Serenade is fully stocked with the essentials (and more!) to make your vacation as convenient and relaxing as possible so we're always excited when our guests utilize the amenities! Come back to visit Island Abodes and Love City soon! St. John is the ultimate destination for any hiker, beachcomber, drinker, or general adventurer, and staying at Island Abodes made my adventure to St. John absolutely unbelievable. At first, you think reserving the Studio at such a great price will mean forgoing certain luxuries found in hotel rooms or even other homes, but I was delightfully surprised at how equipped this little oasis was! It has everything you want, AND everything you desire! The personal touches really went a long way... A fully stocked Keurig, lots of dishware (both plastic and non), snacks, information pamphlets and books, soap for everything (including your body and hair), sauces, pool noodles, an outdoor rinse station, a cooler, sunscreen, beach towels, and bugspray.The only things I needed to buy were a few fresh foods and some alcohol. Amazing, and a huge bonus when dealing with USVI resort prices!! Island Abodes even gave me a sample bottle of St. John Brewers beer to try (and later buy because it rocks). The room is lovely, very nicely acquainted and super clean with a large bed, soft linens, and fluffy pillows. There's lots of extra towels and linens provided for the duration of your stay, so you'll always have clean things to use. Even though the studio seems small, it has PLENTY of closet space and counter space so I kept organized. The outdoor deck and it's view are unforgettable. It overlooks Cruz Bay, giving amazing sunrises and sunsets on the daily. I would sit out there and eat, surf the web, or just enjoy the views every single day and night. The unit is a short drive to town, and I would recommend renting a Jeep. Honestly, in St. John, it's great to rent a Jeep regardless of where you stay because you'll be able to see the vast majority of the island in a short timeframe that way. After long days of hiking and adventuring, my Studio oasis was so awesome to come home to every night. The property managers, Brittany and Robert, are amazing. They helped me with my trip from start to finish, picked me up from the ferry, and answered all my questions about the island. Whenever I needed something, they were prompt and efficient always, and incredibly kind. You can tell they love this island dearly, and have a passion for it. That's something you won't find when renting from a corporate owner. Overall, my stay with Island Abodes was fantastic. I'll be staying here for all my adventures to St. John. My studio suite was like having a home away from home, but in paradise! What a splendid review Mary, thank you so much for taking the time to give us your feedback. It sounds like you had an amazing stay on St. John; it’s hard not to! I’m glad you found that you had everything you needed (and more!) in the Studio Suite. Robert and I are thrilled to be able to provide fully stocked accommodations that allow you to focus solely on enjoying your vacation. It sounds like the large, comfortable bed and relaxing deck were perfect for you to come home to after long days of adventuring around the island! We’re happy to hear you found the views from the Studio Suite to be breathtaking and we hope these are memories that you will keep with you until your next visit. Thank you for choosing Island Abodes and please join us for another stay in the future! First of all, Brittany and Robert are absolutely amazing! They were exceptionally accommodating, and the studio has everything you will ever need! 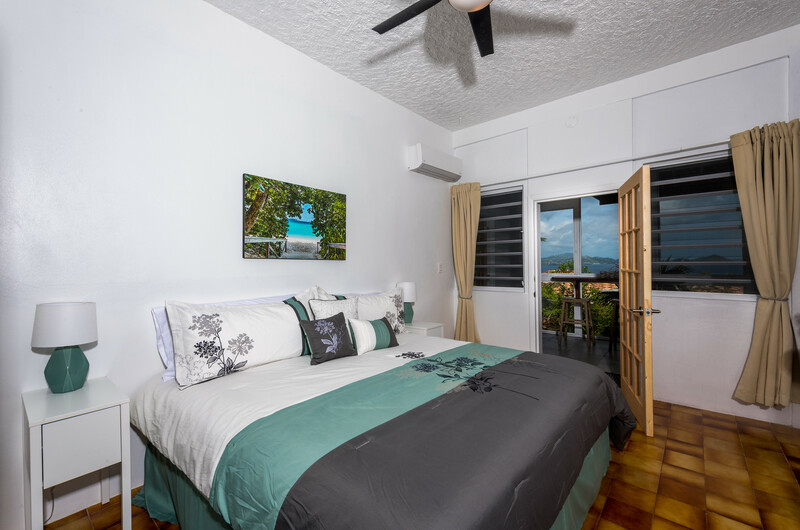 The studio was perfectly furnished and has an incredible view of Cruz Bay! I will definitely be booking another trip to St. John soon!! Many thanks for choosing Island Abodes and for posting such a nice review on VRBO! Your kind words regarding both myself and Robert and the accommodations are much appreciated. We do our best to ensure our guests have everything they need so we were glad to read that you felt the Studio Suite was well equipped. Thanks again for sharing your feedback and we'll see you soon! 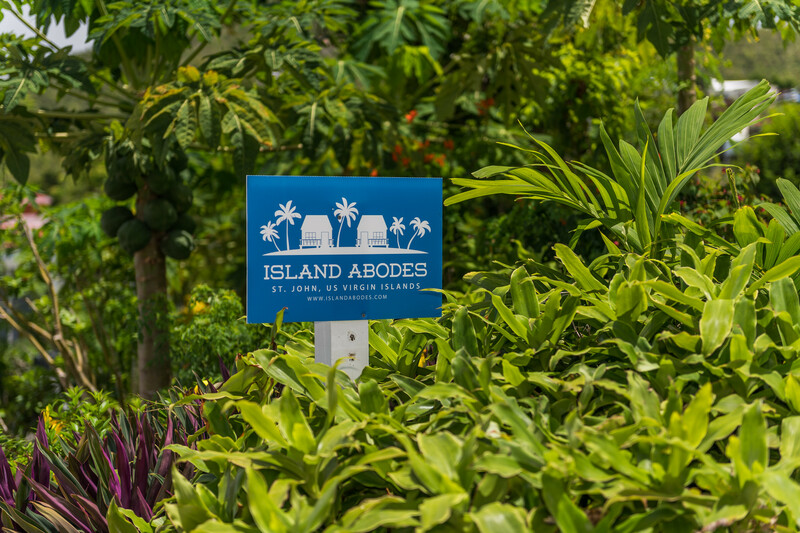 Our experience at island abodes is one we will never forget. Everything was nice and clean and comfortable. Britney even picked the best looking mango off the tree in the front yard and had it waiting for us when we got back from our day adventure on st. John. For the price you cannot ask for anything better with an immaculate view of the sunset and Cruz bay. We can't wait to get back to St. John and stay there again. Thank you Amber - Robert, Shelby and I appreciate you posting such a wonderful review! We can't thank you enough for your kind words and we're just glad that we were able to ensure you had a wonderful stay on St. John! It was our pleasure to pick you up from the ferry dock and provide any information you may have needed. We do our best to exceed our guest's expectations so we were happy to hear that you had such a positive experience! You were a great guest and we'd love to welcome you back anytime. Thanks again for choosing Island Abodes and for taking the time to post your feedback on Airbnb! We'll see you soon. Thank you, Wendy, for taking the time to write a review of your stay in the Studio Suite at Sunset Serenade! I'm happy to hear you found the suite to be conveniently located and comfortable, and that you enjoyed the gorgeous Caribbean views from the private deck. We appreciate the recommendation! Come back and visit us at Island Abodes on St. John again soon! Brittany was amazing! And so helpful! The studio is small but totally serviceable, as well as very clean. The view from the deck is gorgeous. Thank you so much for the review and kind words, Anna! I'm so happy to hear how much you enjoyed the Studio Suite at Sunset Serenade, and that you found the accommodations to be clean and well appointed. 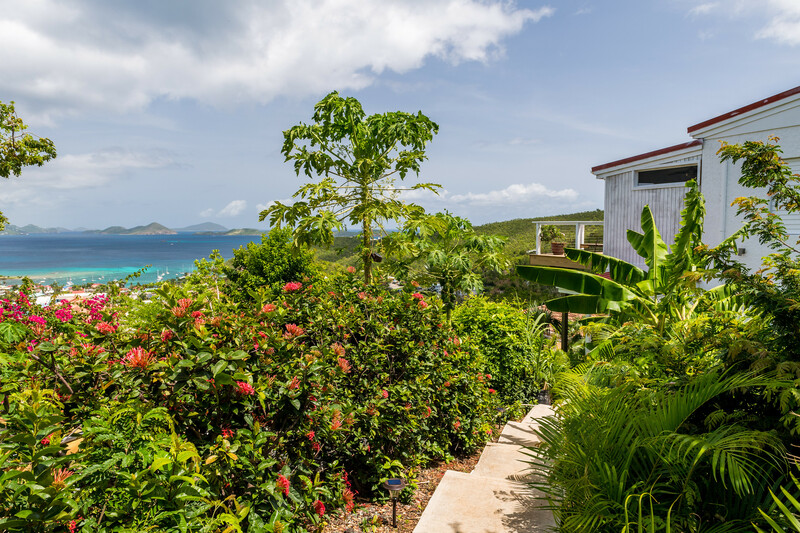 We absolutely love the Caribbean views from the private deck, too! Come back and visit us at Island Abodes again soon! We will be back as soon as we can! We had a wonderful stay. The amenities were perfect and the location was great.. More than anything, Brittany and Robert were so welcoming. We would highly suggest a stay with Island Abode! Hi Kristin! Thank you so much for the review and recommendation of the Studio Suite at Sunset Serenade. I'm so happy to hear you had such a wonderful stay, and that you enjoyed the variety of amenities, convenient location, and customer service! We can't wait to welcome you back to Island Abodes and sunny St. John again soon. Our stay with Robert and Brittany was amazing and we couldn't have asked for more. Here are just a few of the many highlights: -Robert graciously offering to pick us up from our ferry into Cruz Bay and gave us a ride to the residence to expedite the key exchange -extremely clean studio with a very comfortable queen bed -balcony with a spectacular view of Cruz Bay, perfect to enjoy the sunset -Keurig with a variety of cups, creamer -plenty of bath towels, including three beach towels, a cooler, floaties, and two beach chairs available just for our use Most of all Robert was courteous and you could tell he genuinely wanted our time in St. John to be special, he was always offering advice and assistance to us. First off, about the place. This place is phenomenal! Amazing views, just like in the pictures only obviously better in person, and very secluded / romantic. 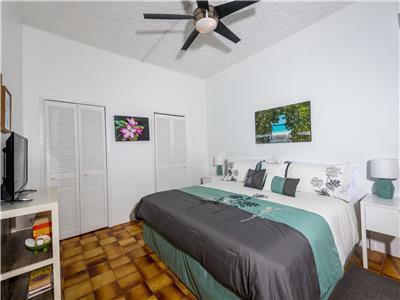 comfortable bed, kitchenette, clean bathroom, private patio with some basic furniture. It really was an awesome place and I would definitely recommend it / return. As for Brittany and Robert, they couldn't have been nicer or more responsive. The internet wasn't working the first day, so Brittany went out of her way to go to the internet service provider office and ask for a new modem. When one wasn't available, she had one sent over from St thomas the very same day, and we had internet by 3pm. Besides that, they couldn't have been more friendly or welcoming, while also not being up in your business when you want to enjoy yourselves. Amazing place and I highly recommend you stay here!! Robert and Brittany were great and their apartment was so nice. The view was gorgeous and they provided beach chairs a float and a cooler which was very helpful. They also allowed us to look at the rest of the home and see the renovations they had done and the other rooms were all equally nice with amazing views. They were welcoming and friendly but we had lots of privacy. We would definitely recommend it to anyone looking for affordable accomodations in St. John. Robert and Brittany are extremely helpful and responsive hosts. They were wonderful in answering any questions we had about St. John, ranging from where to rent and park a car to which beaches offered the best snorkeling spots. They even stopped by to chat upon our arrival just to make sure everything was ok. The apartment itself was great. There is a beautiful porch area facing west to watch sunsets from. We would highly recommend staying here while exploring St. John! We loved staying at island abode! Robert was such a great host. There when we needed him and not when we didn't! We actually had another place booked for a few days but missed the privacy so opted to come back! 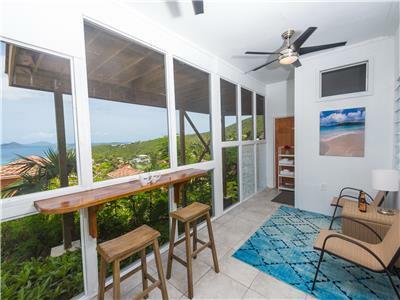 We got to peek into each of the rentals and they were all excellently furnished and all had stellar views of Cruz Bay and St. Thomas. The grounds are gorgeously landscaped and there seems to be plenty of parking. Robert was such a great host that after we gave him some feedback regarding a little gravel area between door and patio being needed, we came back from our next outing to find new pavers there! We will stay here again! And next time we may just being the kids! Rae, thank you for taking the time to review your stay in the Studio Suite at Sunset Serenade! 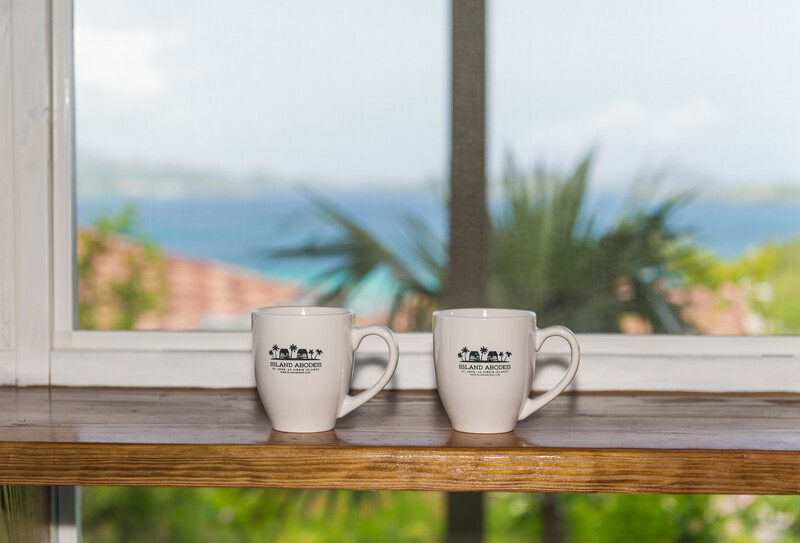 We are so happy to hear how much you enjoyed the accommodations, and were thrilled that you chose to rejoin us for the duration of your St. John vacation. It sounds as if you found your island home away from home! Can't wait to welcome you back to Island Abodes again soon. Our host was great.she picked use up at the ferry dock and took us grocery shopping before taking us to the studio apartment. She showed us about the town and made us feel real welcome. The view off our deck was awesome The ride there was a little nerve racking Only 1 mile to town.the bathroom was real tight however how much time do you really spend in there.the bed was really comfortable. Thanks for your review Darrell! It was my pleasure to pick you up from the ferry dock and ensure you guys had everything you needed before settling in. Robert and I were glad to hear you enjoyed your stay and especially the view. The roads of St. John are quite steep at times, so we do apologize if you found it a bit unsettling. Thank you for your suggestion about the light or candle on the deck table. Robert and I will see what we can do about that in order to enhance the space for future guests. Thank you again Darrell, we hope to see you again soon. What an amazing trip! Brittany and Robert were great hosts and you can tell they think about all the details. The studio was complete with all the things you need (cooler, beach towels and even beach chairs!) and it was very clean and organized! They really make sure your stay is the best it can be. We are now back in the cold weather and still reminiscing about the beautiful sunsets from the deck. Thank you again and we hope to be back very soon! Rui and Dani. Thank you for your review Dani! It was truly our pleasure to welcome you and Rui to St. John and to make sure you enjoyed your stay at Island Abodes. It sounds as though you both thoroughly enjoyed your time with us and that you had everything you needed for a fun and relaxing trip! We would be thrilled to welcome you back anytime you're ready to escape the cold.. you guys were great guests! Thank you again for posting your feedback and especially for sharing your suggestions regarding the location of the microwave. Oftentimes we are unaware of areas that our guests find could use improving, so we truly appreciate it. I will take a look and see what we can do about relocating the microwave for our future guests' convenience. We hope to see you both again soon! Take care! Brittany couldn't have been a better hostess. We were picked up at the ferry & taken to the supermarket, before being driven to our lovely studio apartment. Brittany took the time to show us around town & also gave recommendations. We had everything that we needed. The studio was clean, comfortable & private. We will definetly book this place in the future. Thank you for taking the time to post a review on Airbnb! I really appreciate you saying I couldn't have been a better hostess.. nothing makes me happier! Robert and I just wanted to do our best to make sure you were comfortable with the island from the moment you arrived, and that you had absolutely everything you needed. Thank you for your suggestion for the small table next the door and the hooks in the bathroom. Sometimes we are unaware of things our guests would like to see, so we truly appreciate you sharing your feedback. We will look into adding a small table for guest belongings and some hooks for hanging towels. Thanks again Elizabeth, we hope to see you again soon! Pros: Great, friendly, helpful, accommodating host/Fantastic location, very close to town but secluded/Nice view from the outside seating area/Great wifi. Cons: Very small bathroom. No view from the room. Brittany & Robert, Thank you very much for your hospitality. You're so welcome Kevin & Hermineh! And thank you for being great guests, sharing your feedback, and posting a review regarding your recent stay with us. We were pleased to hear you enjoyed both us as hosts and your accommodations! Thanks again and we hope to welcome you back in the future for another great stay with Island Abodes! We just returned from our honeymoon and we couldn't asked for a better host than Brittany and Robert. Before we even landed, we felt right at home! The sunset view from the studio was amazing and the amenities were exactly what we expected. Upon check in, Brittany kindly picked us up at the ferry dock and upon check out, gave us a tour of the other units that were open at the time. We can promise, there is not a bad view from any unit at Sunset Serinade. Any future trips to St. John will be spent with Brittany and Robert! Thank you Kristin and congratulations again to you two! We were honored to welcome you for your special honeymoon stay, so thank you for choosing Island Abodes! I was happy to pick you up upon arrival and to show you the other properties when it was time for you to leave. It sounds like you enjoyed your stay, the breathtaking view and the amenities provided. We hope you'll come back to St. John for another great stay with us - you'll have to try one of our other properties this time. Thank you again and we'll see you soon! Great location, amazing view and a thoughtful host. Our experience was a pleasure. Brittany is great at what she does and communicates extremely effectively. 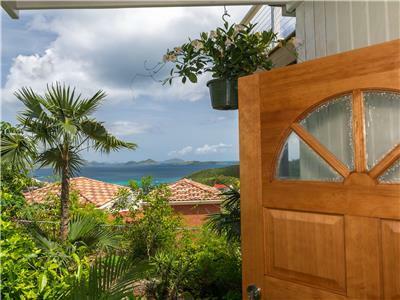 We highly recommend Island Abodes to anyone staying in St John. Thank you so much for sharing your feedback Heide! We really enjoyed having you both and were so happy to hear that you had a great experience with us at Island Abodes. Thank you for the recommendation and kind words about us. 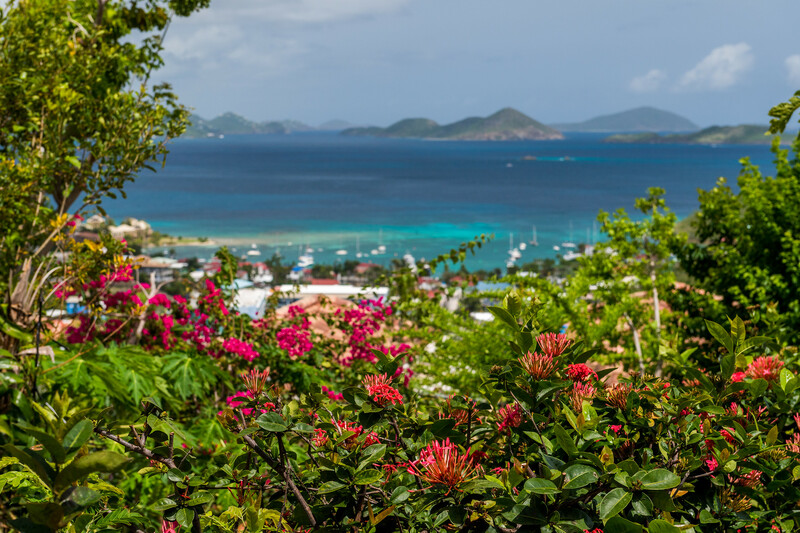 We love to know you enjoyed your time on St. John and we hope you enjoyed your time on St. Thomas as well. Thanks again and we hope to welcome you back in the future! The studio was all we needed for a quick night's rest before heading out early back to the states. Brittany was very responsive, even staying on the phone with us for 20 min when we had trouble finding the unit. I'd highly recommend the studio if you're looking for an economical spot in St John. Thank you so much Jenna! It was my pleasure to help you guys find the unit and I hope you had a quick and easy journey back to the States. Thank you for choosing Island Abodes and for posting a review on Airbnb. We'd love to have you anytime so please keep us in mind next time you're planning a trip back to St. John! I can't say enough good things about our experience with Brittany and their rental. From picking us up from the ferry and taking us to the grocery store on the way to the studio, to the details they have put into the place. We adored the studio as well as the one bedroom and the views from both were great! I will definitely look to stay with Brittany and Robert if I visit St John again and would recommend their rentals to anyone! Many thanks for your review Kristen! It was my pleasure to pick you up and ensure you were comfortable with the island and had everything you needed for a wonderful stay! We can't thank you enough for your kind words about Island Abodes, your recommendation, and your review. We look forward to your next visit and promise to provide you with another great stay! Great hosts! Studio had everything you could possibly need. One of my best airbnb experiences. Thank you Neftaly! What an honor to be considered one of your best Airbnb experiences. You were a wonderful guest and we're so glad you chose to stay with us at Island Abodes. Please keep us in mind for future trips. Thanks again! The hosts were FANTASTIC. They picked us up at the St. John ferry and dropped us off at the place. They even let us stop for a few groceries on the way. The place was stocked with goodies for us and the bed was very comfortable. They run a great operation! Thanks for the great review Brendan! We know your stay was brief but we're glad you enjoyed your time at Island Abodes and on your island adventures. We'd love to welcome you back anytime and hope you can stay even longer next time. Thanks again! This place is awesome! My boyfriend and I stayed in this cozy romantic getaway for two weeks and it was perfect! The studio is immaculate, quiet and is located in a super convenient location. The views are amazing. We loved waking up and sitting outside on the deck and soaking in the incredible view over Cruz Bay. The owners, Robert and Brittany, were great and made sure our stay was perfect. I'd be happy to stay here again! 5 stars! We were thrilled to have you here at Sunset Serenade by Island Abodes! Please come back to visit soon and check out our new units! If you are looking for a peaceful, romantic getaway--STAY HERE! We spent my boyfriend's birthday weekend here, and we couldn't have asked for anything more. The cozy studio is perfect for 1-2 people, the bed is super comfortable, and it has everything you need to enjoy your downtime on St. John. 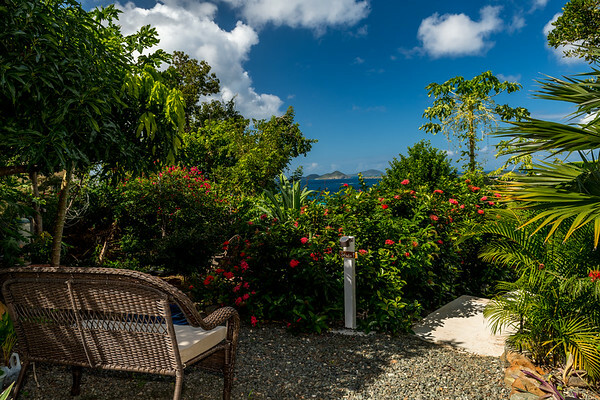 Have coffee or a glass of wine on your private deck surrounded by a tropical jungle overlooking Cruz Bay. Enjoy rainbows over the bay after it rains. The deck also lights up in the evenings making it extra special:) Words cannot describe how beautiful and peaceful it is here. You will be so relaxed you will not want to leave! The hosts, Robert and Brittany, are 2 of the friendliest, nicest people I've ever met. They are upstairs and happy to help you with anything you need, but you will not even know they are there (unless you want to hang out with them which you might because they are awesome!) You really cannot beat the price, location, and setting of this vacation rental. Less than 5 minute drive to town for dinner, shopping, nightlife, etc. They have a couple of other studio/1 bedroom units at the house which makes this a great place for larger groups too. Highly recommended, and we cannot wait to go back! Thank you guys for a great weekend!! We loved having you and your boyfriend here with us at Sunset Serenade by Island Abodes! We hope to have the opportunity to host you again soon on our little island paradise! Please stay in touch! Thank you so much for staying with us at Sunset Serenade by Island Abodes! We were honored to host you and your bride! Wishing you many happy years and several trips back to St John! Our stay at Sunset Serenade Studio was delightful from the first minute we arrived. 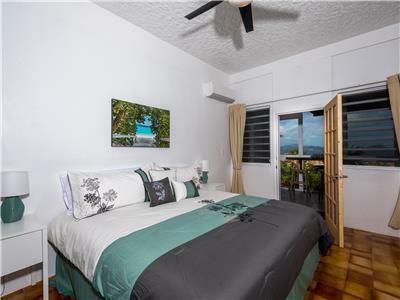 Located an short drive from Cruz Bay the nicely sized studio is in brand new condition. It had a very comfortable queen size bed, convenient kitchenette and lots of closet space. We also loved the privacy. 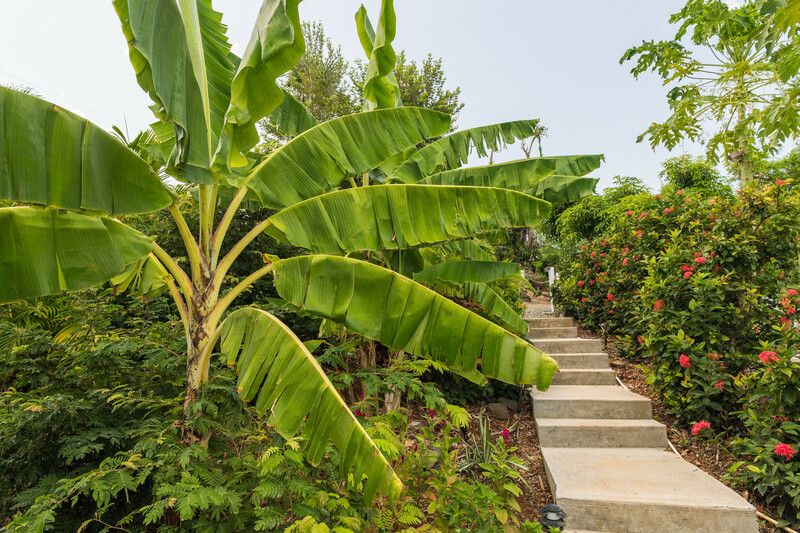 Just a short walk down a flower filled path to your own entrance and deck overlooking the bay. We loved both eating a relaxing breakfast on the deck and coming back after a day touring the beaches to enjoy a cocktail while watching the sunset. Robert and Brittany were great hosts. Robert was there when we arrived. He was very friendly and helpful answering any questions and offering suggestions of things to do. They obviously put a lot of thought into decorating and making the place as comfortable as possible. Extras like beach chairs and a cooler added to the experience. Our only regret was that we had not scheduled our vacation to allow us to stay longer. Robert and Brittany were great and their apartment was so nice. The view was gorgeous and they provided beach chairs a float and a cooler which was very helpful. They also allowed us to look at the rest of the home and see the renovations they had done and the other rooms were all equally nice with amazing views. They were welcoming and friendly but we had lots of privacy. 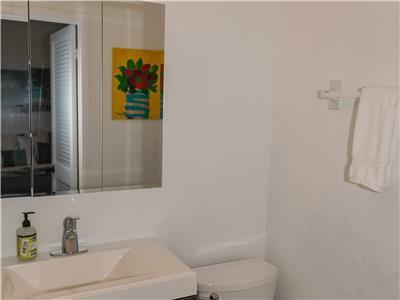 We would definitely recommend it to anyone looking for affordable accommodations in St. John. 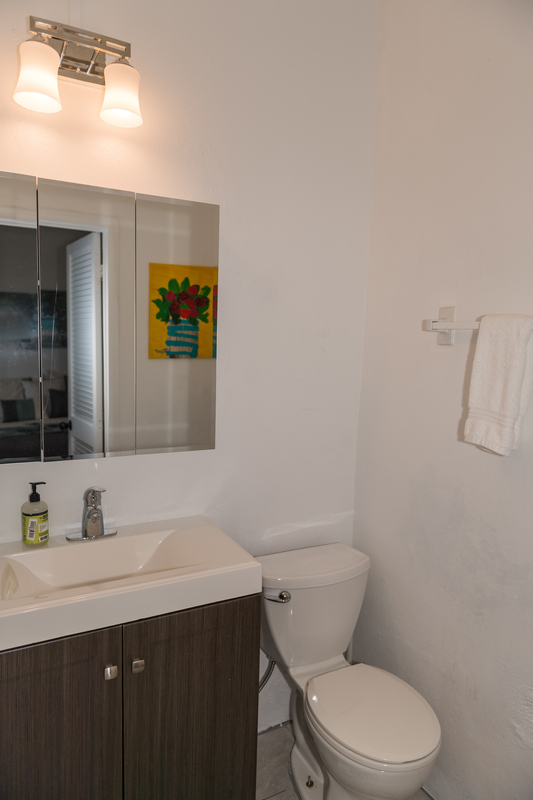 We were so pleased with our experience at Robert and Brittany's gorgeous studio apartment in St. John. They were so helpful prior to arriving yet gave us our privacy once on the island. The room was everything we needed-- a nice bed, kitchenette, and bathroom. The patio had a gorgeous view of Cruz Bay which was nice to enjoy with a cup of coffee or a few beers. The apartment is in a perfect location right near town, although you definitely need a jeep for those steep roads! To make our experience even more amazing, Robert and Brittany upgraded us to their honeymoon suite for our last two nights. We were in awe of its beauty! I would not hesitate recommending this space or any space provided by Robert and Brittany and look forward to making it back sometime in the near future!! We had a great time here! The pictures are true to reality and what you see is what you get. Definitely recommend getting a car though as you won't want to walk up and down the multiple, very steep hills every day to and from Cruz Bay. The owners are great, friendly, and provide also sorts of little extras and amenities whether you ask for them or not. We were delighted to hear that your expectations were not only met but exceeded during your May stay with us! We can't thank you enough for your kind words regarding our amenities and accommodations. Thanks for your review. Please come back and see us again! Beautiful studio with great view! I just got back from staying in this studio on vacation in St. John with my boyfriend. We had such a great time on vacation in St John and are so glad we chose to stay at this studio for part of our trip! It was clean, cozy, and had a great view of Cruz Bay and St Thomas lit up at night. We were without a rental car for part of the time and found it fairly easy to get around using Taxi's /walking, although you will have to walk down the street a bit to catch a taxi from the studio. I would recommend, however, to rent a car for part of your trip as to see more of the island. The grill was great for making dinners, as was the outdoor patio for eating and relaxing in the evenings. The only suggestion I would have would be to add more lights. The owners were helpful and answered all of our questions quickly and even allowed us to check in early. 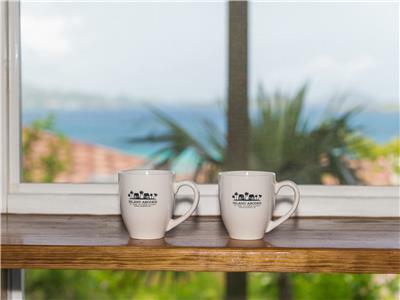 We would definitely recommend this studio for any couple looking to have a great vacation in St John! We were delighted to host you and your boyfriend Katharina and we appreciate you taking the time to post your feedback. It sounds as though you enjoyed the studio and found it clean and comfortable. We will definitely take your suggestion into consideration and see about adding additional lights to the patio! Thank you again for your review and recommendation! We hope to welcome you back and look forward to being your hosts once again! While we made a wrong turn and got lost getting to the apartment, both Robert and Brittany were very helpful in getting us straightened out. The apartment was very clean and matched the description exactly. Gregory, we were more than happy to help you find the Studio Suite at Sunset Serenade! So glad to hear the accommodations met your expectations. Come visit us on sunny St. John again soon! Only had a chance to stay 2 nights, studio was everything we expected. Check in was easy, the place was clean, had a great view of Cruz Bay at sunset. Rental car is a must. Met Robert and chatted a bit, he even gave us a couple of mangos for the road. Thanks. Hi Ed! We're glad to hear that although your stay with us was short, that you enjoyed the studio, the views, and that you found the the check-in process to be smooth and easy. We hope you enjoyed the mangos and we hope to welcome you back in the future, this time for an even longer stay! Thank you! This place was in a great location in Cruz Bay -- a very short drive from downtown, but far enough away for peace and quiet and great privacy. We rented a jeep, which I would recommend for your visit, but getting to and from there by taxi seems doable, too. The views from the patio were lovely. Studio was as described: small, but just right for a couple. We didn't get to meet the owners, but Brittany always got back to me within minutes of texting her any questions. Very happy overall, and would stay there again! Thanks for your wonderful review Kathleen! I am sorry we didn't get a chance to meet you but was glad to hear you found my responses quick and helpful! Robert and I were so glad to hear you found the studio perfect for two and that you enjoyed your stay overall. We hope you'll stay with us again so that we get a chance to meet you! Thanks again. We really enjoyed the studio. It was perfect for my wife and I. 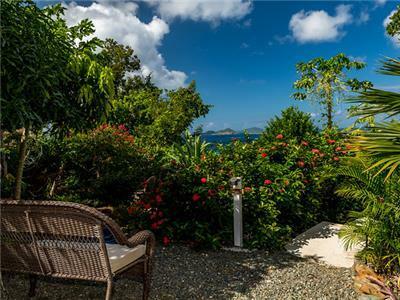 A quiet, clean, peaceful place with a great private balcony that has a great view of Cruz Bay/St Thomas. Fairly easy walk down to Cruz Bay, but the road is very steep so I would recommend renting a jeep or using taxis to get back up. No AC, so it was pretty warm inside even with fans, but we were out and about most of the time anyways. Brittany and Robert were very helpful and answered our questions immediately. We would recommend this place for other couples. We appreciate you taking the time to post a review Aaron! It was awesome to hear that you and your wife enjoyed the Studio and found it quiet, clean and relaxing. The island really starts to heat up in July so we do apologize if you were a bit warm, but it sounds as though you were able to get out and enjoyed the unparalleled beauty of the island to escape the heat! We were happy to help and again, thank you for your review and recommendation to other couples and future guests! We hope to see you again. We loved staying at island abode! Robert was such a great host. There when we needed him and not when we didn't! We actually had another place booked for a few days but missed the privacy so opted to come back! 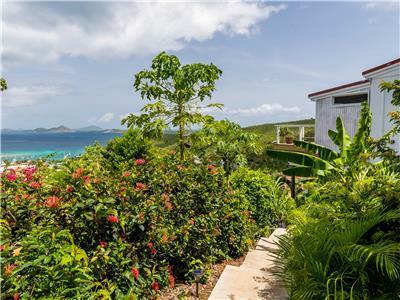 We got to peek into each Of the rentals and they were all excellently furnished and all had stellar views if Cruz Bay and St. Thomas. The grounds are gorgeously landscaper and there seems to be plenty of parking. Robert was such a great host that after we gave him some feedback regarding a little gravel area between door and patio being needed, we came back from our next outing to find new pavers there! We will stay here again! And next time we may just being the kids! I stayed in this perfect little accommodation for 2 weeks. Brittany and Robert were excellent hosts, extremely helpful and readily available. 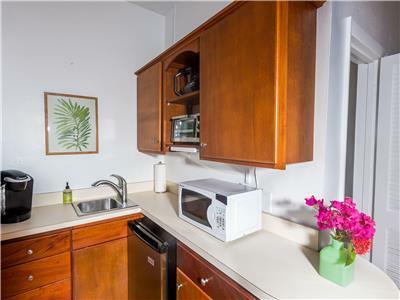 There is a small kitchenette with a kuerig, microwave, ninja, mini fridge, and sink. Also, a grill is available. I would recommend a jeep, but that is the case with almost anywhere on the island to make the most out of the beaches, etc. Beautiful view every evening from the porch! The description of the bathroom as tiny is accurate, but it serves it's purpose. There were plenty of bath towels as well as beach towels, chairs for the beach, and a small cooler. The space is clean, quiet and private; even with another guest in the apartment above. I would highly recommend this space for a single or a couple that wants to spend their time out exploring and enjoying the view from the porch. Thank you so much Kathy! We truly enjoyed having you and were happy to have you for two weeks! Thank you for including so many details regarding the Studio and wonderful recommendations for future guests in your review. Robert and I can't thank you enough and hope you'll come back to see us again! Great stay at the studio! My husband and I stayed in the studio for a week and it was perfect. It is the right amount of space with everything you need. We were mostly out and about during the day doing activities around the island, but the studio was great to come back to and relax. 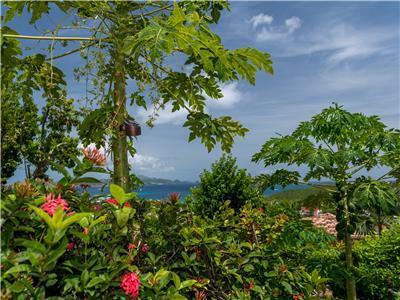 It has a nice secluded patio area with a great view of Cruz Bay. We had plenty of towels, coffee, beach chairs and a cooler provided. Brittany and Robert are wonderful hosts. I would certainly stay here again and recommend it to any of my friends and family. Thanks so much for your review Paige. It was nice to hear you guys enjoyed your week-long stay and that you had everything you needed. Robert and I were glad to hear you spent your time outside of the Studio enjoying the beauty that is St. John. 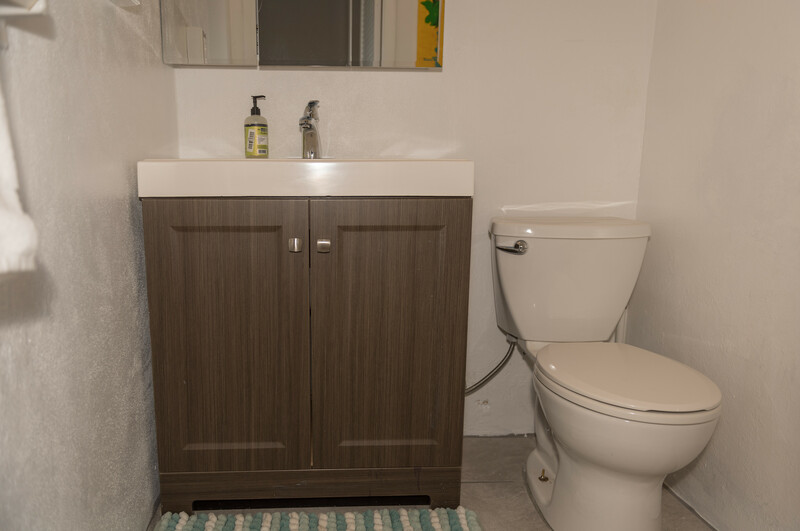 We just want to provide a relaxing, comfortable and clean place for you to come back to after the end of a long, hot day, and it sounds as if you did just that. Thanks again for posting your feedback. We appreciate it and look forward to welcoming you back in the future! What a great find so close to Cruz Bay! Thank you Brittany & Robert, your hospitality was amazing & greatly appreciated! We loved staying at the studio & found that everything was perfect. The space was just the right size for my husband and I. The views are also amazing. We loved that it was so close to town. We have already recommended the property to others we met on the island, as well as friends back home. Thank you again! Christine, many thanks for posting a review on VRBO and for already recommending us! That means so much to us and we were happy to have you stay with us and ensure you had a great time on St. John. You guys were great guests and we hope you'll come back to see us soon! We had the opportunity to stay in many places throughout the island of St. John and had many interesting adventures and experiences. We can't recommend Islands Abode enough!! Brittany and Robert are awesome and helpful. The accommodations were clean and well taken care of. I was very impressed with the extra details involved with the accommodations! We are SO impressed and will be back as soon as we can! Thank you Kara and Jesse! It was awesome having you as guests and we appreciate you taking the time to post such a great a review on VRBO. We enjoyed reading that the accommodations exceeded your expectations and that you have plans to return! We'd love to welcome you anytime and look forward to seeing you! Thanks again. Amazing stay close to Cruz Bay! We stayed for 6 nights last week and had such a great time! 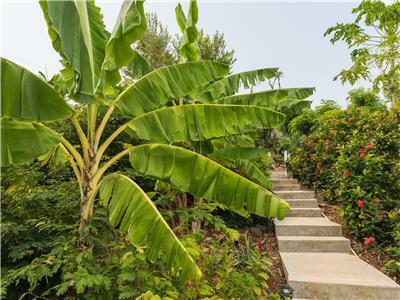 The location of the studio is great, super close to town, grocery stores, close proximity to drive to beaches and everywhere else on the island. The studio had everything we needed. We made breakfast in the morning and packed lunches for the daytime. The view from the studio was amazing! This is our second stay with Brittany and Robert and we are already planning on coming back again in September. Thank you for being so attentive and helpful! It was so nice to have you stay with us again Elma! We know you have so many choices when staying on St. John and we can't thank you enough for choosing Island Abodes again and for posting such a great review! We truly enjoyed having you and it sounds as though you enjoyed the view and the convenient location of the studio and we're so glad we could provide you with everything you needed. Thanks again and we'll see you in September! This was the second time we have stayed at Island Abodes! We were in town for the 8 tuff mile race and needed to check out later due to the race. Brittany and Robert are always very accomadating. Our room had all the necessities, water, coffee, fruit and snacks! And is always extremely clean!!! !Our prior stay was the for the carnival celebation, we were in the Honeymoon suite, and the views were amazing for the fireworks! Could not have had a better view!! We will definitely be back to Island Abodes! Hi Pat! Thanks for posting a review on VRBO and more importantly, thank you for staying with us for a second time! It is always our goal to have guests come back to stay with us again.. mainly because we always have such great guests! I hope the race went well and that you enjoyed your stay. We can't thank you enough for your kind words regarding Island Abodes and the two different places you've stayed now! We hope we can welcome you back to try out a third. Thanks again Pat, hope to see you soon! Perfect spot for our needs. We came to St John for a short stay, only 4 nights. We are frequent visitors to the island. This trip wasn't for vacation purposes so we wanted economical, clean accommodations close to Cruz Bay. This studio suite was perfect for us for this trip. The room was comfortable and very clean. We were able to make simple breakfasts and lunches and ate dinners in town. The view was really spectacular and the nights were quiet and made for peaceful sleeping. Even though this is part of a multi-unit property we felt like it was very private. We walked into town a few times but it does require walking down some steep roads however, it is very easy to find a taxi that will take you back up the hill. There is ample parking for multiple vehicles and we really appreciated that each unit had a clearly marked parking spot. Our only complaint, and it is really minor, is that there is no indoor seating for eating which is understandable due to the size of the interior spaces. There is an outdoor bistro table which we used every morning but if it rains hard the patio is only partially protected from rain and the table becomes unusable for dining. Brittany and Robert have obviously put a lot of time and effort into this property. Brittany was a perfect hostess and was very responsive. Thank you very much for your review Annette! Robert and I were glad to hear you enjoyed your stay and that you found the Studio Suite clean, convenient and just perfect for your most recent trip to St. John. Thank you for providing details regarding the available parking and location, as well as great tips for future guests. We will certainly see what we can do about ensuring the outside table is fully protected so that our guests can enjoy their dining experience regardless of the weather... thank you for bringing this to our attention. As you mentioned, we do our very best to ensure our guests are happy and our properties are perfect. Thanks again and we hope to welcome you back in the future!